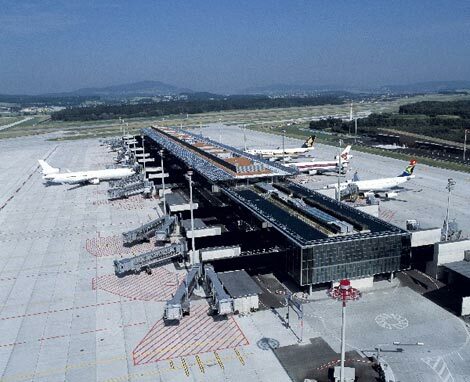 The Zurich Airport is located 8 miles north of Zurich. You can use the services of the Swiss Rail that has the most efficient and quick system of transporting you to the city center. The stations are below the Arrival terminal with trains leaving every ten minutes for all destinations. You can also use taxis, the hotel shuttle bus and various other bus services meant for the public that ply on various routes. The taxis usually take half an hour to reach you to the heart of the city. Use hired cars from any of the companies like Budget, Avis, Alamo, Hertz, Sixt and Europcar. There are various facilities at your service like banks, exchange bureaus, restaurants, bars, postal services, duty free as well as normal shops, a crèche and business facilities. Disabled passengers do not face any difficulty with the facilities provided. 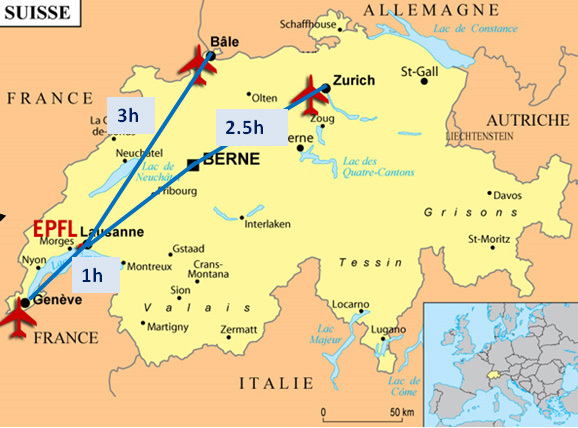 The Bern Belp Airport is 6 miles away on the southeastern side of Bern. Trains travel frequently between the airport and the city. The airport buses which are white in color halts outside the terminal and a single ticket costs you Sfr 15 and it takes you 20 minutes journey to reach the Central train station of Bern. You can also hop into a taxi. The companies that rent out their cars are Hertz, Avis, Sixt and Europcar. You have banks, bureaus for exchanges, restaurants, bars, help-desks for hotel reservations and tourist information, business facilities and duty free shops. There are special facilities for the disabled which can be availed by informing the carrier in advance. You can choose from either the long term or short term parking options. There is no departure tax levied.